Twenty years ago to the day a Navy veteran, Nashvillian and riverboat pilot Capt. Vic Scoggin literally dove in head-first to spearhead a cause near and dear to him. On May 01, 2016 friends, family, supporters and local dignitaries gathered together for the 1st Annual Save The Cumberland Fundraiser/Fishing Tourney/River Party that was a perfect backdrop to celebrate his memorable, news-making and consciousness raising trek through the Cumberland River in 1996. 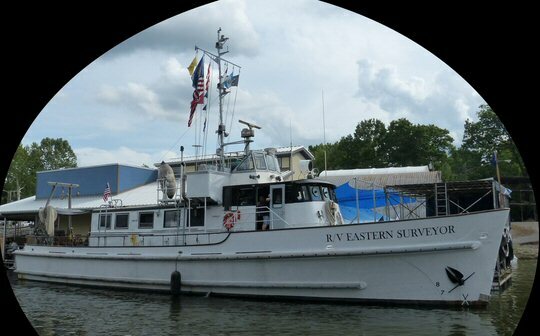 The R/V Eastern Surveyor was the guest of honor. 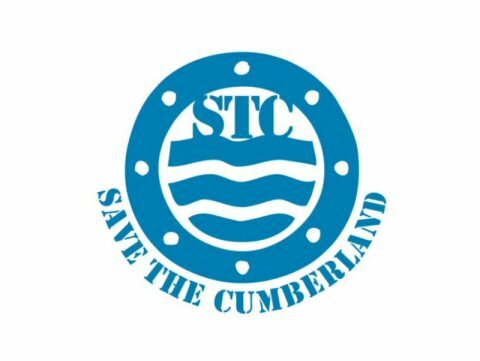 Save The Cumberland – the group Scoggin founded following his 696 mile swim that took over two months to complete – is a 501(c)3) non-profit tax deductible organization. Their intent is to ensure that the Cumberland River and its tributaries evolve back to reflect what they were 200 years ago. They continue to bring public awareness to water and air pollution issues, land erosion, endangered wildlife and loss of historic sites which are threatening to endanger the majestic Cumberland River. Capt. Vic Scoggin continues to pledge support to Save The Cumberland. The party was held from 2 to 6 p.m. at the prestigious Rock Harbor Marine complex in Nashville inside the Blue Moon Waterfront Grille. Attendees were treated to a delicious buffet of make your own chicken and fish tacos while non-stop music entertained throughout the afternoon. There were door prizes, a silent and live auction, and a chance to purchase merchandise with all proceeds going to benefit Save The Cumberland Inc. to help make the Cumberland “The Cleanest River in America”. Tennessee Werewolves help Save The Cumberland. The most prominent guest at the gala was the 79-foot R/V Eastern Surveyor – a decommissioned US Navy YP-675 (Yard Patrol boat) now moored in the Nashville area. The craft is at the helm of the movement to Save The Cumberland as she is enlisted as a research vessel that will serve as an education center and a tangible symbol of the ongoing efforts to improve the environment in and around the river. Guests at the party had ample opportunity to board the boat and learn all about her multiple redundant onboard systems that will help keep her chugging up and down the Cumberland for many years to come. 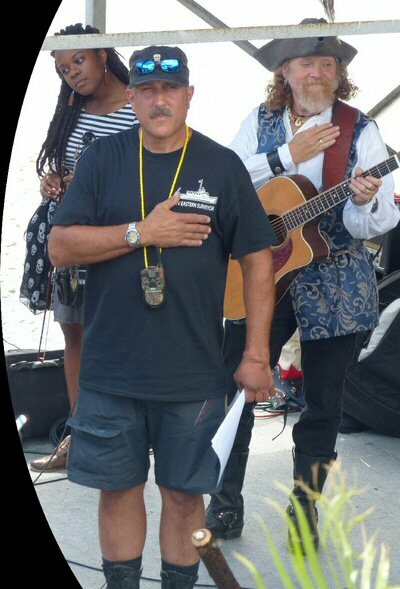 Tom Mason & The Blue Buccaneers help Save The Cumberland. This being Music City there was no shortage of song provided courtesy of some of Nashville’s finest. 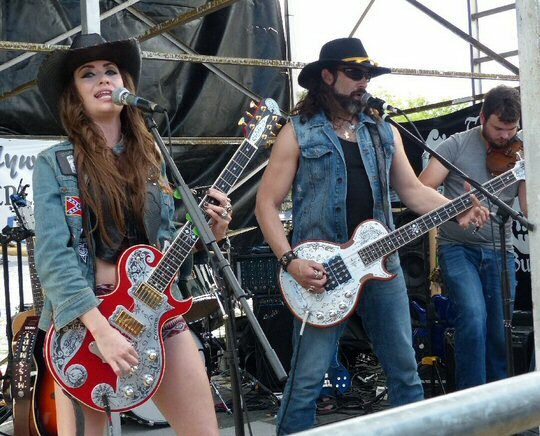 Angel Mary and the Tennessee Werewolves were a denim-clad family band who mashed up the blues and southern soul into a convincing sound all their own. Arrggghhh – Tom Mason & The Blue Buccaneers were the pirate-themed power trio slash quartet who opened and closed the show with solid sets marinated in a rockin’ marine theme. Tom and Co. are an in-demand Music City quantity who have played ports of call the world over. Capt. Vic reported that a music festival supporting Save The Cumberland is in the planning stages so all Nashville talent is invited onboard to help the spread the news with their words and music!